When a drunkard brings a screaming girl to the Oversight's London headquarters, it seems their hopes for a new recruit will be fulfilled—but the girl is a trap, her appearance a puzzle the five remaining guardians must solve or lose each other, and their society, for good. 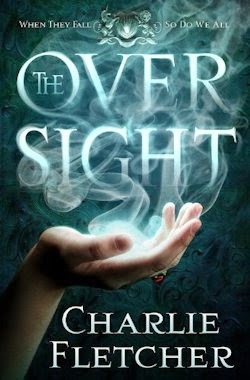 Charlie Fletcher, author of the Stoneheart trilogy for children, gives Suzanna Clarke a run for her money in The Oversight, a canny urban fantasy about a secret society sworn to protect the people from supranatural shenanigans. 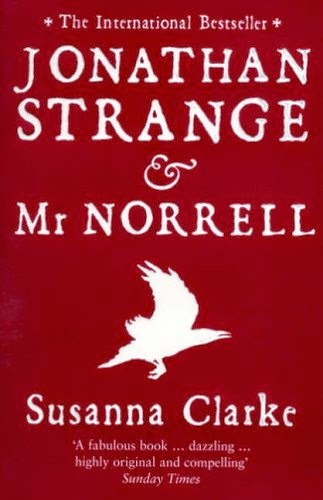 That's magic to you and me—which is to say "strange, hidden things that happen without a normal explanation" (p.42)—and the very reasonable rules governing its usage; rules the Oversight exists to enforce... or has done, historically. These days, though, they can hardly keep their own house in order, so what hope do they have of overcoming a conspiracy of wicked witchfinders? Once upon a time, there were many Hands in many lands, with five fingers each and an abundance of extra digits insisting on enlisting—the better to defend against those who would use their supranatural skills for ill. Then the Disaster happened; the Oversight was betrayed by its own, and you might measure the cost of its lax attitude in lives, given that the Great Fire of London was the result. Fast forward to the year eighteen something or other. The society has been dramatically diminished in the centuries since the Disaster. No one trusts the Oversight any more, thus there's just the one Hand left standing, led—insofar as any Hand can be—by Sara Falk, a Glint who sees herself reflected in the serving girl who, at the outset of Fletcher's text, is deposited on the doorstep of the house the last Hand shares on Wellclose Square. "When you touch something and the world around you jumps, and you see a vision that's so real it's not a vision but the thing itself? That's glinting." Lucy gaped at her, as if to ask how could she know this private thing. "Things that happen, important things, terrible things, they leave an imprint in the stones around them, as if they are leaving a record of the event. A Glint is someone with the gift to be able to read what is recorded." Lucy isn't quite the innocent she seems—though she isn't one of the bad guys either. Not exactly. But The Oversight's antagonists—namely the Templebane twins, Issachar and Zebulon, and their small army of orphans—have turned her into a terrible trap. A bomb of sorts. And when the bomb goes off, there's no question it'll devastate everything, and indeed everyone, who happens to be in the blast radius. Sara isn't alone, of course, and if she can't see through Lucy, maybe one of the others fingers will. Perhaps that task will fall to Jack Sharp, a magical mongrel of a man who's sworn an oath to protect and serve Sara and secondarily the society. Or it could be Cook, a matronly mother-figure known for more than her excellent Eccles cakes. Maybe the Smith—an ageless supervisor of sorts who fashions supranatural contraptions for the Oversight—is set to save the day, and failing that, there's always Hodge and his dear dog. As an introduction to the trilogy it begins, not to mention a narrative in its own standing, The Oversight is—and let's be clear here—something very special. 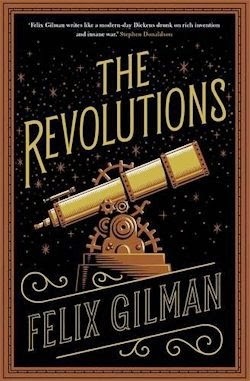 It's perfectly pitched—immensely accessible, I expect—bolstered by a great sense of pace, with breaks and stake-raising in all the right places, and Fletcher, to his credit, shows so much more than he tells. This contrast is crucial to The Oversight's success. The way in which Fletcher incorporates the strange in amongst the mundane, seeding the world we know with things we don't, serves to draw readers in immediately, then dazzle us with an abundance of depth and discovery. You'll notice, not unrelatedly, that his prose has a certain poise—an elegance, even, that made me savour the story's slower moments. Evidently, Fletcher also has a knack for narrative; the going, on the whole, is never less than gripping. Alas, there's a lack of character, or rather such a riot of roles that though their interactions with one another are dynamic enough, they aren't especially well developed individually. The supporting folks, in fact, frequently feel more fully fledged than the major players—leaving aside Lucy, who does grow over the novel's course, and Cook, easily my favourite of the five fingers. That's the only issue I had with Fletcher's first novel for adults, though: the fact that he's holding back as regards the characters at the heart of his narrative. 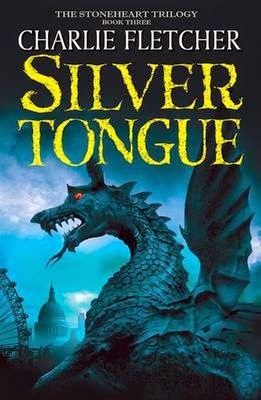 The Oversight is excellent otherwise, with sections that reminded me nicely of The Night Circus, some decidedly Dickensian developments, and bits reminiscent of the best of Jim Butcher, too. That said, it's its own thing, and oh so moreish a morsel. I'd read a prequel this evening, a sequel as soon as. It's just such fun, and wonderfully well done.